Utilising materials that are characteristically low maintenance and easy to clean, our fantastic range of bar stools are designed for minimal care and upkeep. Whilst they’re typically used in environments prone to dust, dirt and spillages, you’ll be surprised at how easy they are to maintain. We often receive questions from customers about how to care for their purchases. This article will talk you through the different types of frames, bases and seat materials, outlining the best way to care for each. We offer a vast array of frame types in several stylish materials, depending on the look you’re going for. Whilst fixed height designs are slightly easier to maintain due to their simpler structure, single stem gas lift models are still incredibly straightforward and undemanding too. It’s a common myth that they need refilling, however there is no truth in it. Gas lift is a sealed mechanism that won’t ever need topping up, making it very user friendly and highly functional. Available in mirrored chrome or brushed steel, metallic frames are low maintenance by nature and prove popular in domestic and commercial settings alike. Whilst in a bar you are more likely to get spillages and rough handling, in the home they contend with dust, grease from cooking, and children’s sticky fingerprints. Nevertheless their easy wipe surface means they require relatively little upkeep, with 99% of marks removable with a light duster or e-cloth. Although you don’t need to do this very often, the more regularly you give them a light dust down the better it will keep dust and dirt from building up. Often it’s areas like the footrest, subject to dirt from shoes, which may require a little more attention. Stubborn marks can be removed using affordable cleaning products on a damp cloth, which will be gentle enough to clean the surface without causing any damage to the metalwork. For difficult stains, gently wipe down the surface with alcohol or spirit based solutions such as methylated spirits. Our bar stools are designed to be used indoors, and whilst you may be tempted to take them outside, we recommend you take the utmost care if you choose to do so. Exposing them to rain or excess moisture may cause them to rust, just like a bike. Whilst it’s unlikely any rust will appear in normal usage, you should also be careful when mopping the floor, taking care not to repeatedly mop the metal bases also. Readily available products such as vinegar and alcohol can help break up residue, removing any stains and dark spots that appear over time. Evaporating quickly, they take any water with them, leaving your bar stools looking good as new. Furthermore, lubricants like baby oil and WD-40 applied to a clean cloth can be used to polish up metalwork, restoring its bright sheen for a stylish contemporary aesthetic. Always in demand, our wooden models have a sleek varnished finish that needs only a slight dusting with a normal cloth. For stubborn marks, apply some polish to the duster. Not only should this remove the dirt, but it will buff the surface giving it a lovely warm sheen. Our satin finished designs are a silky painted wood or metal that is much in demand, though sometimes susceptible to showing fingerprints. 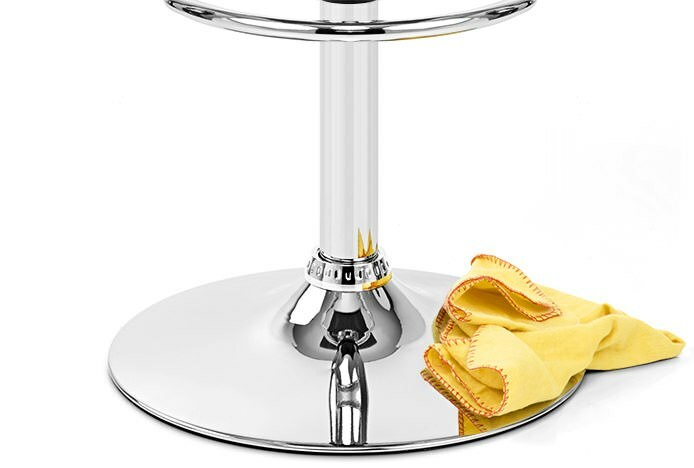 These can be easily wiped off with a clean cloth, keeping your bar stools looking their very best. For more advice on looking after your wooden stools take a look at our Wood Care Guide. Most of our metal-based products possess felt floor pads or a rubberised plastic rim to help minimise marking to floors. It’s easy to ensure this isn’t damaged, simply take care when moving them about. If you have a rough floor surface, for example authentic quarry tiles, make sure you lift the stools when rearranging your furniture. Dragging them across rough flooring will damage the protective underside, causing it to wear down, fold or even break. How best to care for your bar stools will be determined by the shape of the base. The dry air in our homes caused by central heating, combined with heavy usage, can sometimes cause a domed base to squeak a little as the compression joint dries out. This is easily amendable however, and you should not let it put you off buying a model with a metal frame. If your stool has a chrome column, simply lift it up the collar and spray a small amount of lubricant like WD-40 into the joint to relieve the squeaking. The bolts used in our products are incredibly strong, especially those in our sturdy flat based designs. Yet over time and with heavy usage, they can sometimes work very fractionally loose and you may be aware of a slight movement. This is a sign that the bolt in the base needs tightening and is immensely straightforward to fix. 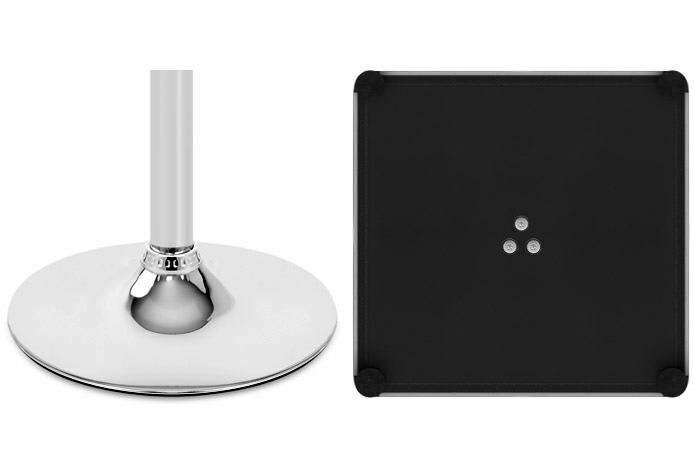 Whether you purchase a flat or a domed base, all of our bar stools come with an allen key and set of instructions for easy maintenance, meaning you’ll never need to go out and buy special tools to fix them. Available in a range of fabulous seat materials, our bar stools each have their own host of stylish attributes and consequently their own individual cleaning methods to keep them looking flawless. 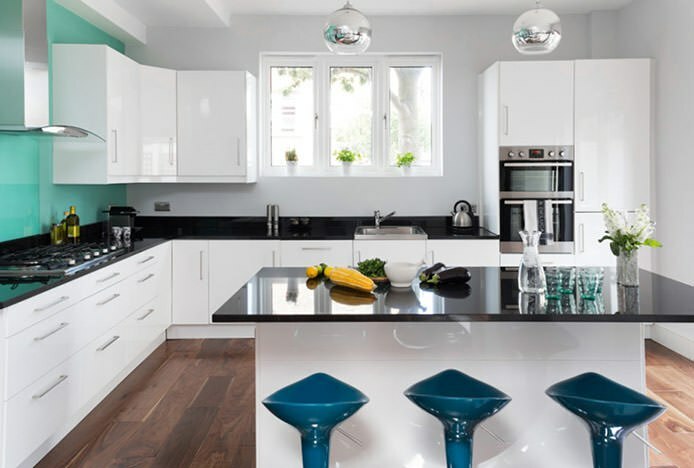 With high gloss ABS or remarkably tough acrylic, plastic seats are extremely popular due to their array of funky colours and immense practicality. Characteristically durable and hard-wearing, the thicker the plastic the stronger and more solid it is. For a light dusting use a duster or e-cloth, or to remove marks try a damp cloth. For harder stains try a baby wipe, or if the mark sticks, gently dab with white spirit. 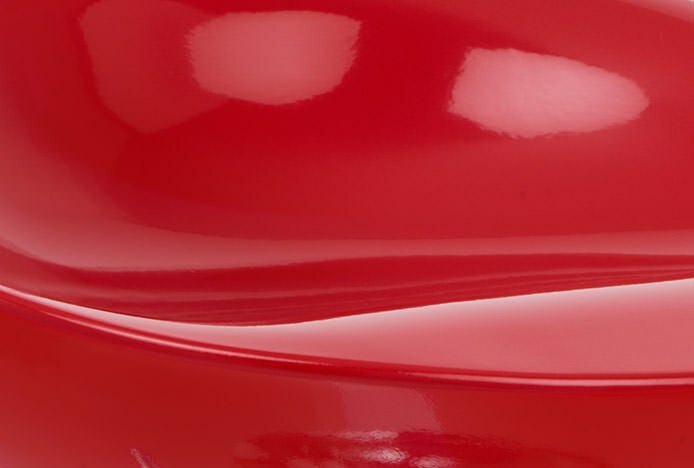 Scratches, though it does depend on their depth, can usually be removed with the use of t-cut, a solution used to remove scratches in cars. Similarly with acrylics you can get a special acrylic polish for scratches, allowing you to sand away the scratch before polishing it back to the norm. A highly practical material, faux leather is designed with durable qualities for minimal maintenance. Scratch and fade resistant, it’s more waterproof than real leather as it won’t absorb spillages. Offered in a variety of vibrant colours, lighter shades of white and cream are widely admired. Whilst pale colours are inevitably more susceptible to marking or staining, you shouldn’t be deterred, as there are multiple ways they can be cleaned. Dust can be lightly brushed off with a duster, superficial marks wiped away with a damp cloth, and tougher stains attacked with a little soap and water or a baby wipe. For really difficult marks, such as ballpoint pen, apply a little white spirit to a cloth and gently rub the stain until it’s vanished. However you should always test these methods on small inconspicuous areas, for example on the underside, before testing on the visible seat in case the product tints or bleaches the colour. Whilst this is unlikely, it’s always best to play it safe. Real leather is a premium, luxury choice that delivers both style and substance. Exceedingly durable, it’s resilient to cracking, tearing and peeling. Known for aging well, any worn spots create a chic burnished appearance that is made more attractive over time. Unable to hold and absorb dust makes upkeep quick and easy – simply wipe the surface lightly with a duster. If you should find a stain try a slightly damp cloth initially, or for tougher stains we recommend investing in a special leather cleaner or polish. Not only will this clean the surface, but it will give the leather moisture to prevent it from cracking. Available in a whole host of trendy colours and designs, fabric is style savvy choice that can prove remarkably hard-wearing under heavy use. Nevertheless its absorbent, porous nature means it can be more likely to stain if spillages occur and are not mopped up immediately. Should you find a spill firstly dab with a damp cloth, and if the mark persists then try with a little soap and water. For really awkward marks we recommend using a cleaning product, though this should always be tested on a small area on the underside of the seat first to check it won’t spoil or mark the fabric. Alternatively, why not spray your seat with scotch guard when you first unpack it, protecting the material by repelling liquids and minimising the chance of staining. When maintenance is so easy, you’ve no excuse! View our full range of bar stools to find the right model for you.